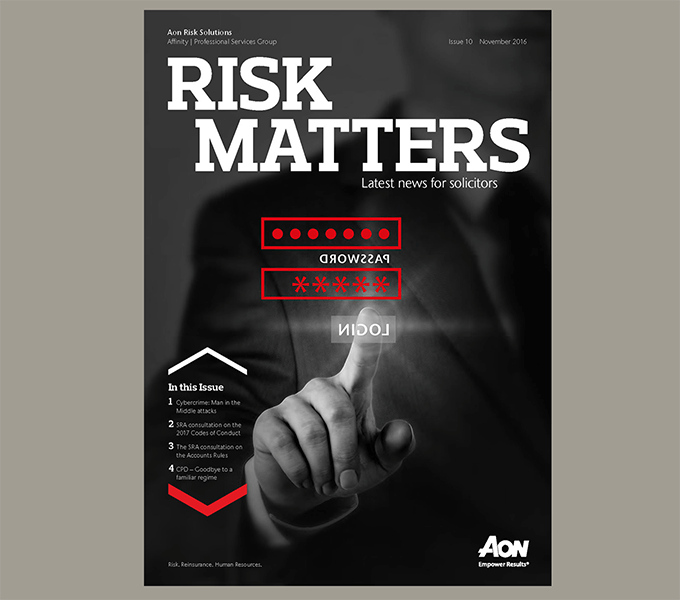 As certified Aon Brand Ambassadors we have, over the years, designed and produced many of Aon’s publications. 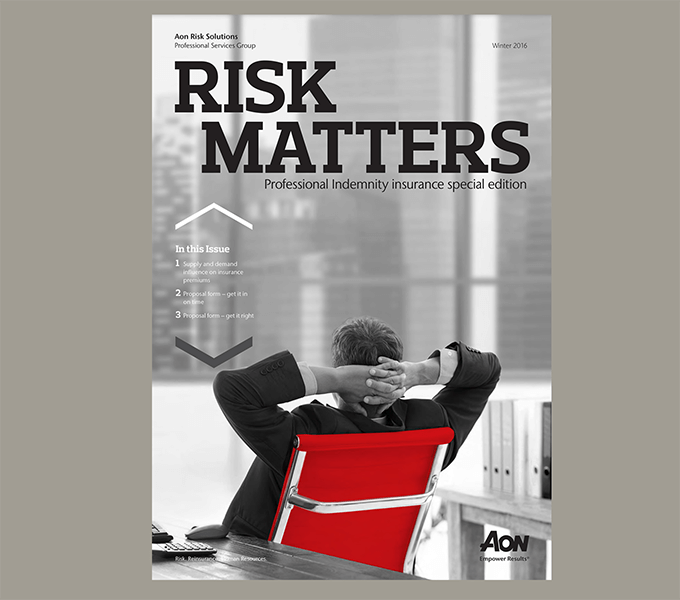 The most recent example is Risk Matters, aimed at Solicitors, and produced in both printed and pdf formats. 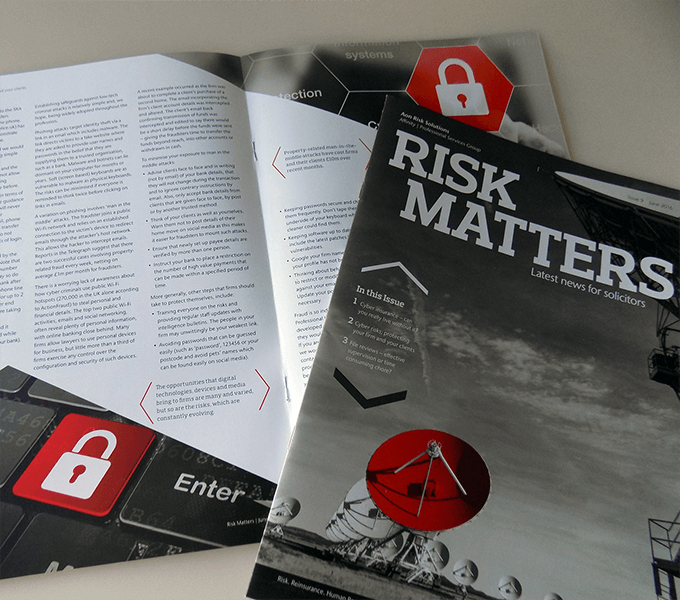 We ensure that publications remain fresh whilst adhering to brand guidelines, able to sit alongside print ads, online banner ads, mailers and email campaigns, forms and policy documents, to present a strong and consistent brand identity.